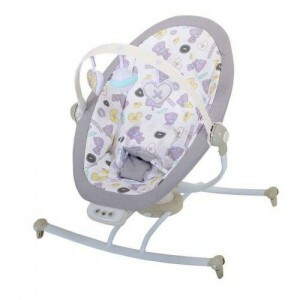 The East Coast Tiny Tatty Teddy Swivel Rocker is integrated with a 360 degree swivel. Ideal for little one's to play and relax in comfort. It comes with a detatchable toy bar which has plush teddies that your baby can learn to reach and try to bbat, this also helps with eye and hand coordination. Suitable for use from birth to approx. 9kg (6 months) or until child can sit unaided.